Discover career opportunities at Pyrenees Shire Council. Find out who your local representative is. Council has two directors and a CEO and employs more than 100 staff across the Pyrenees Shire. Council operates with a Vision, Mission and a set of objectives. Online library of policies and publications. The Assets and Development Department of the Pyrenees Shire manages the roads and infrastructure throughout the Shire. How to apply to access information under the Freedom of Information Act (FOI) 1982. In accordance with section 12 of the Local Government (General) Regulations 2015 [Victoria] (the Act) the prescribed documents listed on this page are available for public inspection at the Council offices – 5 Lawrence Street, Beaufort. 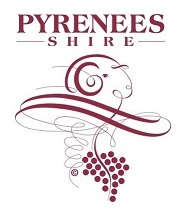 Pyrenees Shire Council has Local Laws to ensure the amenity of the Shire. Council also has Local Laws Officers to uphold these laws.